There were only 5 of us but we certainly connected and engaged and grew! Taking a break from the hard work! 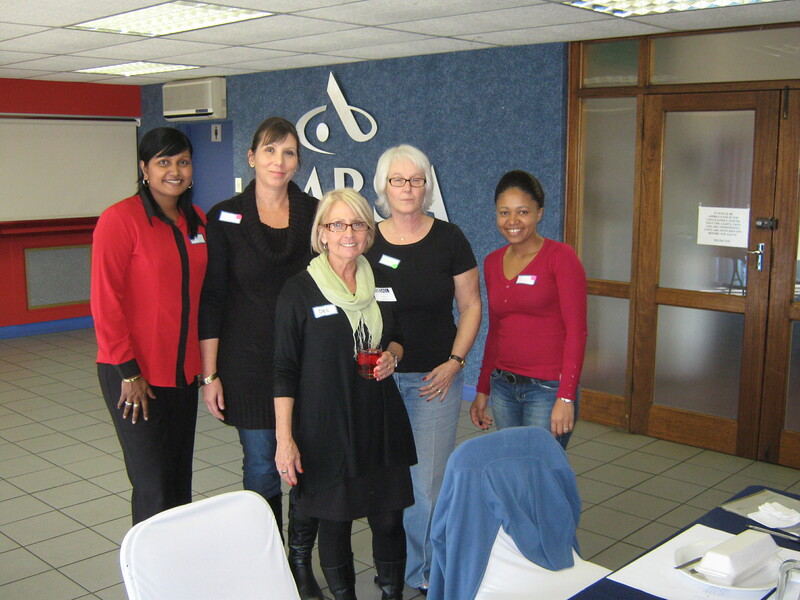 Thobile Mdunge from Shuter and Shooter Publishers, Shan Cade of The CLIP System, Angie Narayanan from Community Chest and Maralyn Atkins from Hilton College – all involved in some aspect of public relations – shared their experiences, learnt new things and went away with ideas. It was a good example of Experiential learning. The highlight for me was the outcome of the task entitled: Develop a Corporate Identity for a company that produces a blow-up life-size doll to use as companion for the aged, children, the lonely etc! All participants gave very positive feedback and I certainly feel encouraged to pursue my activities…. 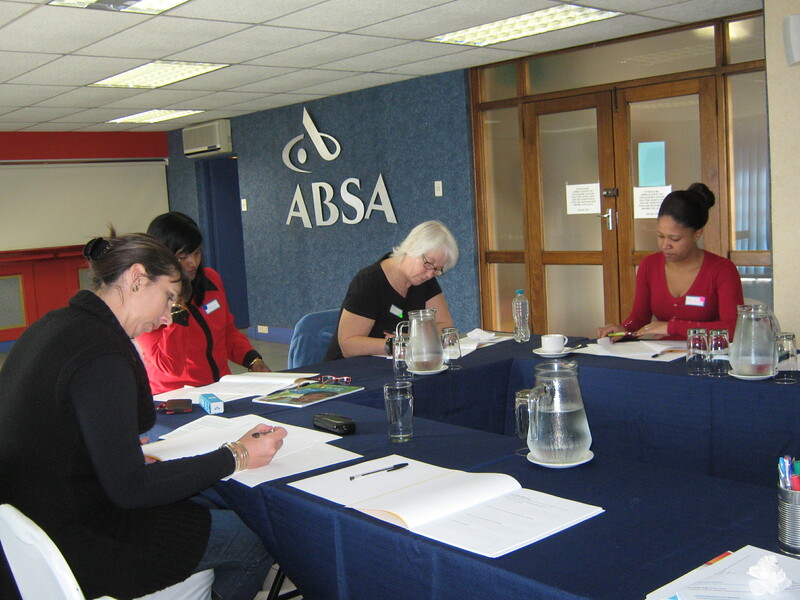 Tuesday, 11 June, comes with the challenges of addressing issues related to: PR and the Media, Sponsorship, CSI and Public Affairs, as well as each participant actually drawing up a PR Plan. This entry was posted in Education and Training, Public Relations and tagged brush up on skills, PR, PR and corporate communication, workshop on Jun 8, 2013 by Dee.